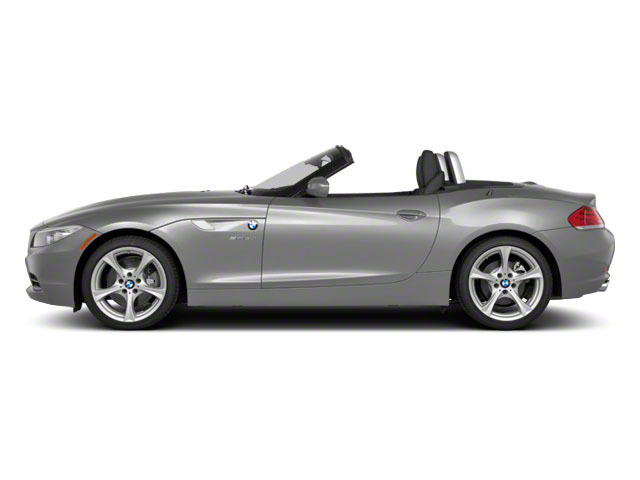 The BMW Z4 is essentially unchanged for 2016. Nicer seats now come standard on the base sDrive28i trim, while several option packages have seen a reduction in price; including the coveted M Sport package. The 2016 Z4 is offered in three different models: sDrive28i, sDrive35i and sDrive35is. A 240-horsepower, 2.0L turbocharged 4-cylinder engine powers the 28i, which offers a choice between a 6-speed manual transmission or an 8-speed automatic. The 35i gets a 300-hp, 3.0L turbocharged 6-cylinder engine. Top-performance 35is models step up to a 335-hp version of the turbocharged six. A performance-oriented 7-speed dual-clutch transmission (DCT) with steering-wheel paddle-shifters is standard on both 35i models. The DCT system can pull off very quick shifts, more quickly matching revs and providing stronger launches when needed. 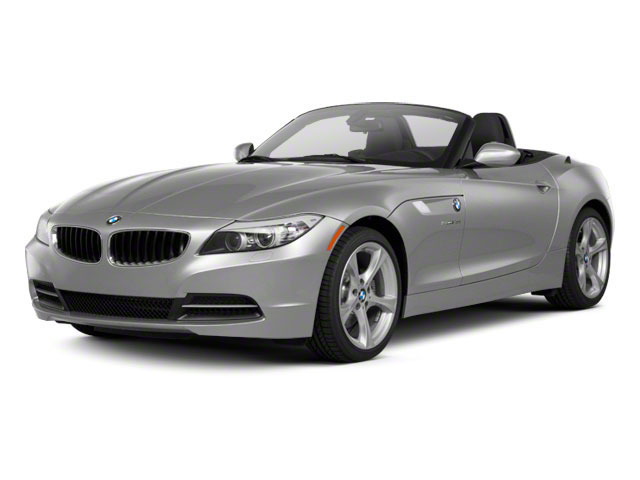 Across all of these models, the Z4's engines have direct injection, which help them achieve strong output figures while returning better gas mileage than most other sports cars; the base sDrive28i has EPA ratings of up to 22 mpg city, 34 highway. In 35is models, there's an overboost function that temporarily increases the engine's torque peak to 369 pound-feet and top speed is electronically limited to 155 mph. The BMW Z4 steers crisply and handles with the balance and poise of a small roadster, yet it has a little more heft and refinement that make it comfortable for longer trips. The relatively long wheelbase and low center of gravity contribute to that and the aluminum double-pivot and strut front suspension and constant-geometry rear arrangement contribute to a predictable feel when drivers go fast into a corner. All Z4 models come with electric power steering and high-performance brakes, while a Sport Package brings upgraded wheels and tires and the Adaptive M Suspension with Electronic Damping Control--including several settings that allow the driver to choose the degree of firmness. That ties in with the Z4's Driving Dynamics Control, allowing the driver to choose between normal, sport and sport-plus modes--affecting everything from the response of the gas pedal to the degree of stability-control intervention. The Z4's interior is much more spacious than some other small roadsters, with full, supportive sport seats standard on every trim. The tight-fitting power-folding hardtop provides all the benefits of a convertible while maintaining the weather-tight comfort of the coupe. The Z4 also uses a special kind of seat material that's sun-reflective, keeping darker surfaces far cooler than they would otherwise be. Cargo space is also respectable for a sports coupe. 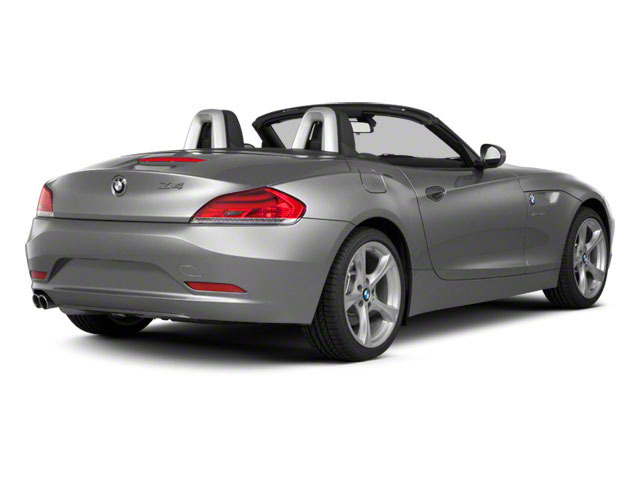 When the power retractable hardtop is closed, the Z4 can hold up to four crates of bottles or two 46-inch golf bags, while with the top down the space is somewhat reduced. Hinged door compartments provide storage space behind the seats. A load-through system even allows space for skis. 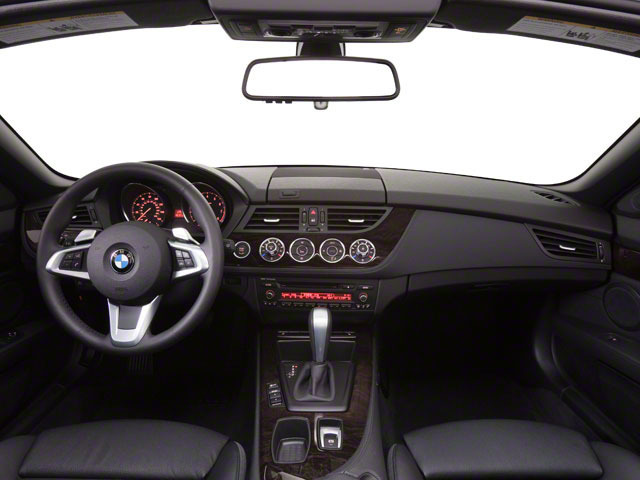 Throughout the cabin, available brushed aluminum and dark wood trim can give the Z4 a true-luxury feel inside. Z4 models with the optional navigation system include iDrive, an interface that uses a directional and tactile controller--rather than touch screens--to access infotainment, navigation and communications features. The BMW Z4 remains a roadster and sports car, but with its last major redesign a few years ago it became more mature and upmarket--instead appealing as a more mature grand-touring sports car. Its folding hardtop arrangement is also one of the best of any roadsters or small convertibles and its excellent ride quality means that drivers won't be compromising comfort.